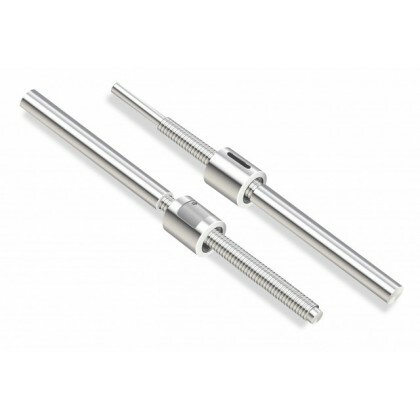 Ball screws that have been formed by a grinding process are used where acute linear accuracy is paramount within an application. 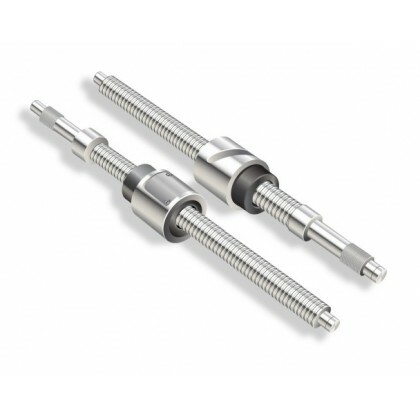 We offer a quality program of metric threaded screws, with a variety of standard and bespoke ball nut designs. 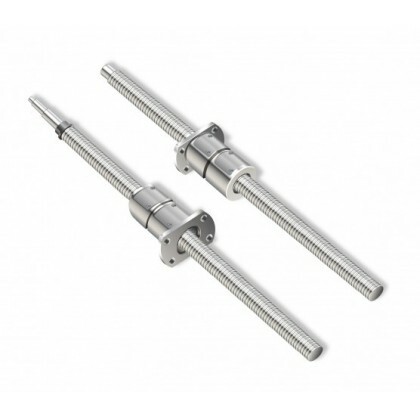 Diameters from 1.8mm to 16mm and leads of 0.5mm to 30mm are available with accuracies of C0 to C5. 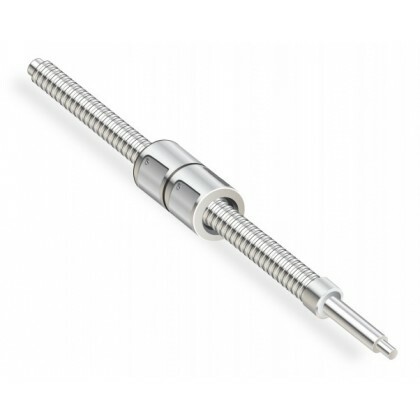 All ground ball screws can be supplied cut to length, with end journals machined ready to fit into an application. 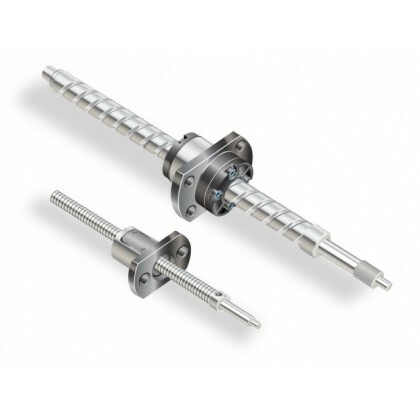 Ball screws that have been formed by a grinding process are used where acute linear accuracy is paramount within the application. 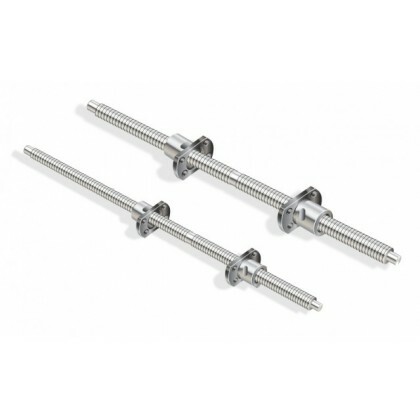 We offer a quality program of metric threaded screws, with a variety of ball nut combinations. 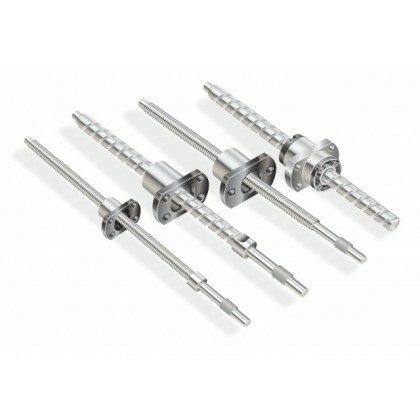 The following series are available in the ground screw format. In March 2008 we launched a new end deflection series, which recirculates the ball bearings in the end plate of the ball nut. This design not only reduces the length of the ball nut but reduces the cost as well. The new FEB and FDB series are available in diameters of 6, 8, 10 and 12mm with leads ranging from 2.5 to 10mm. As standard this new series offers up to C3 lead accuracy and a full end machining capability. Please also note that we offer the capability to supply customs designs to suit the application. 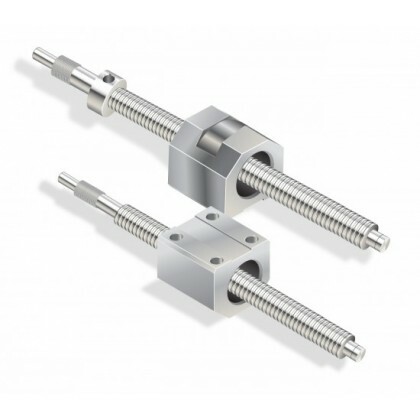 If you are interested in the using the transport ball screw ranges, do not forget that we also supply the full range of linear guides and rails which can provide the load support in your linear mechanism. Offering excellent rigidity and parallelism during operation the guides can be used in both vertical and horizontal planes. Please do not forget to ask for our competitive support bearing prices ! We provide a full range of quality, low cost lubricants for all our linear products including low vapour pressure greases for clean room and vacuum applications. For example the new Trigel line is specifically formulated to offer a lubrication solution for a wide range of linear motion applications. Please ask for further details. Grease features include, Temperature range -30°C to 150°C, Revolutionary multi-complex soap technology, Greatly extended lubrication intervals typically 3 times longer than conventional soap thickened greases, Good corrosion resistance. Some greases are supplied blue in colour for high visibility.